Most sports stars have coaches. No matter how good they are, they will have a coach. David Beckham would have had a coach. The top goal keepers have goal keeping coaches. The basketball players Kobe Bryant and so on had coaches. When Mike Tyson was at his peak and was nice sort of. He had, was it Cus D’Amoto or something like that. He had his coaching mentor. Doesn’t matter how good you are, how talented you are. You need somebody to turn to. You need a sounding board, you need some back up, you need some help. And if you’re going to think that you know it all, you’re going to fail. Or you may not fail, but you are going to take a lot longer. You are not going to go directly from A to B. you are going to go a round about route, and you are going to take longer. So I advise you get a mentor. Now my example, I have more than one. If I take David for example, I met David, I don’t know 6, 7 years ago, maybe longer. And he’s worked with me ever since. In fact you know in a diminishing role, I mean I speak to him less and less. But when I speak to David, he handles, he oversees finances and so on for me at work, and that side of the business, or helps with that side of the business. But in many other aspects. Now David has no experience of the fire safety business, or had. He’s had now, pretty much it’s built on it too. But his experience was in the UK car dealership industry and leasing industry and then on to the airline industry. But he’s worked with many. But his experience, his knowledge, his calm demeanor, his world life experience, that’s a huge help. He’s brought things to bear in my business. I didn’t even know, I hadn’t even thought of doing. And this is the thing, this is what makes the difference. If you think you know everything, then you’re wrong. If you think you are going to learn it, you’re wrong. Because, and I say this often, I don’t know any other way of putting it, but you don’t know what you don’t know. So there are things that David has set up, that I wouldn’t have dreamed of right down to the way our salary increases are handled. We have people at different salary levels who put in different amounts of effort. Who’ve been here for different amounts of time. And so we have an incredible structure that rewards people for wrong service, but rewards people for effort. We also have profit share scheme, which was news to me. Apparently it was my idea a few years ago. And that was set up, again fairly in a way that impresses me, I wouldn’t have been able to do that. But there are numerous other things. You need one. You need the help. By the way I just want to make it clear. This is not me trying to sell my services. I am not sort of going to go at the end and of course I will actually mentor for whatever, whatever. But, so how do you find one? How do you go about finding one? Well you have to simply ask. How did I find David? David was working as a part time consultant for an organization in the UK that was about to wind up. Sort of government organization. But I’ve had lots of consultants from then and before. And we just hid it off. There was, were some certain things that worked for me. So David, when we meet up, we meet outside the office. He talks to me about life, about other things. I can ask him about all sorts. I can ask him from his experience. I mean I got divorced years ago, I could even talk to him about that because he had a very similar experience to me 20 years before. Many many things, we’re very comfortable. So, so that’s how. And I asked him, I asked, said ‘David would you be prepared to work for me? With me?’ He said yes. If he didn’t, there would have been others. But you have to ask. Now of course asking is easier said than done. But you have to ask the right person. You have to make sure they have experience. You have to make sure they can prove they have experience. Please do not go looking online for a mentor. Anyone online can just say they are brilliant at anything. And that they’ve done everything. And it’s only going to cost you x. so I would recommend a mentor as someone you actually meet with, somebody local. There will be somebody. Anywhere in the world. Suitable for you. So places, oh hang on before we cover that, let’s just explain. A mentor is not a coach. Okay. A coach will coach you on how to do something specifically. Alright. So a business coach will coach you on how to do something specifically. And a lifestyle coach, I am not going to, there’s lots of lifestyle coaches. But please be careful. One of the most popular courses at the moment is how to become a lifestyle coach. So people are becoming lifestyle coaches, and then the next day they are going out to coach you. When they’ve had about 5 minutes of experience. Beware. I once did a post, a podcast called how old is your life coach because I actually saw someone I think they were 22, or 23 who was a life coach. Now he might have been good, was a guy. He might have been wonderful. But I’d expect my life coach to have some life experience. Sorry, but I just would. And that’s that. There’s so many things in life that you need some experience of. I mean you got to start somewhere of course. But beware. Also I saw someone on LinkedIn recently. Wanted to friend me or connect as they say. And I looked at his profile, and it said something along the lines of — I first started in business in 2015 and started my first business, and now I coach companies on how to do the same. Sorry. No, he early 2016. That’s it. The time I am recording this is 2017. So you’ve been in business like a year and he’s now teaching people how to do it. I’d say he needs a bit more experience. He could be great, but not for me. So a mentor is someone who is an advisor. A trusted friend. Okay, someone you can turn to. And they will be a calm influence. They’ll be able to point you in the right direction if they can’t help. So places to look, I would suggest, alright. Places such as your local chamber of commerce, your local church. You know there’s lot of very, if you are a church going person, there will be a lot of calm experienced people with a lot of, lot of know how. People like, people in, you know the senior people in church that preaches and so on, have a lot of experience of business. But there can be other places such as places like golf clubs, a lot of the comity will be established local business people who’ve got a lot of experience. Rotary clubs, the Masons, all these if you have any in a lot of those people are in business and that’s what you need. You need someone who has been in business for a long time. Running a business or at very high level management who can help. And then you just simply want to ask. Ask, take them out. You’re wondering if they can help you. If you can ask them for some help. Can you take them out for lunch? Can you take them out for a coffee? They’ll either say yes or no. and then talk to them, see if you like them, and so on. You will be surprised how many would be prepared to just talk to you for free. But please don’t expect everything for free. Give something back. Explain what you’ll do for them in return. Okay. Now the other thing is when you work with one, set expectations. Don’t let them run your business and don’t think they will run your business for you. Remember they’re a mentor. They’re your help, your sounding board, you go to them with your ideas and your problems. And they help you get through them. So don’t expect too much. Make sure that you, you tell them what you want them to help you with and what areas and how often you want to meet and so on. It will work, trust me. If you want more advice on this, please just, you can come to me at MarketingforOwners.com/freetime. You can grab a half hour with me anytime on any Monday when the calendars, the space on calendars, just grab it, and then you can talk to me, and I’ll give you some further ideas. 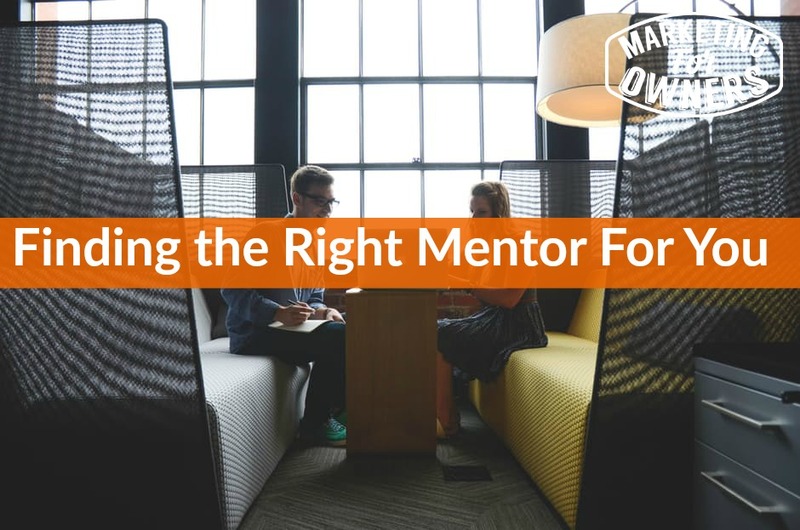 You can chat over what you’re thinking of for finding your mentor, and I’ll tell you what I think of it. I’ve looked for few, and I’ve got a few of them. So been there, done it. And that’s what you need. Been there, done it. That’s the kind of person you need. So I’m not selling my services as a mentor. I am just telling you, I can help you, advise you, help you find one. Okay. It is, it is Tuesday. Oh Tuesday toolbox tip. 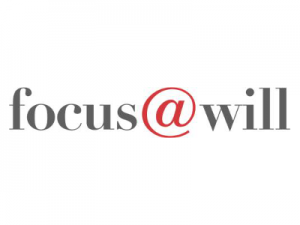 And today, to help you concentrate on your work, I am going to recommend Focus at Will. Now this is done by Winn Henshall, and he has a very big business, very successful. The guy was a UK popstar and had, did he have a number one record. Anyway look him up. He’s got his full story. He’s a genuine popstar from the 80’s. And you’ll recognize the song, I can’t remember what it is, off the top of my head. 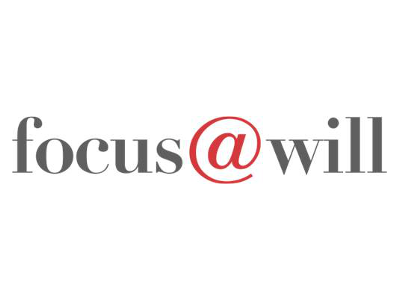 But Focus At Will is one, so when you’re working and all noise is going on, any little interruption, someone banging at your door. Anything someone starting up a car. Anything like that can interrupt you. Focus at Will plays different types, so you plug in headphones, it plays different sorts of music and different sounds they have stuff ADHD. I listen to classical. They have calming like spa music. All that kind of stuff. And I use the paid version. It, I pay annually. Don’t know what it costs. It’s really cheap, I mean like, I am guessing $40 a year, $20, $30 a year, something like that. Also tomorrow, tomorrow I’ve got a good one. It’s our Experts Interview Series. It’s David Basulto. Now David Basulto has a genuinely wonderful story. You’ve got to hear it. And his gadget that he invented, Steven Spielberg uses it, and me. Anyway. Enjoy, I’ll speak to you soon.